Two shanties under Latuharhary bridge, Jalan Sumenep, Menteng, Central Jakarta were controlled.
" We had controlled them before. But they come back"
“We had controlled them before. 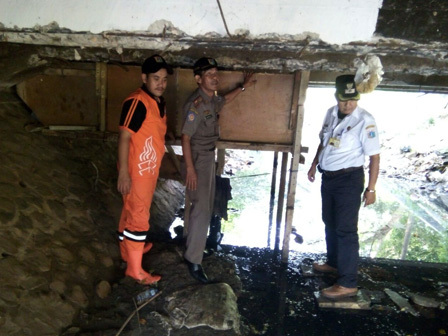 But they come back,” said Agus Sulaiman, Menteng Urban Village Head, Wednesday (7/13). According to him, the shanties must be be controlled to anticipate newcomers who have no family and place to stay. During the controlling, his side deployed 10 Satpol PP and five PPSU personnel. “Satpol PP personnel will monitor the area routinely,” he added.